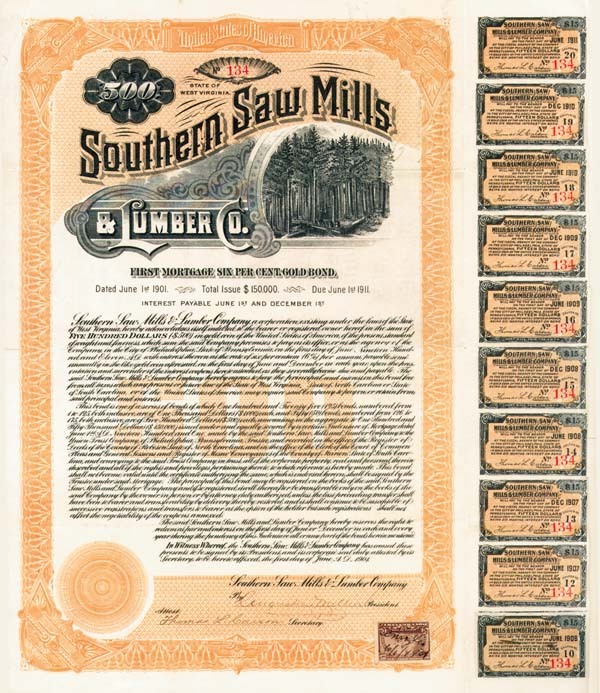 $500 or $1,000 6% Uncancelled Gold Bond. Cooke Bank Note Eng. Co., NY. Several Coupons. Nice!